Triptych explores the universe of rhythmic expression. Music for solo percussion roams through dazzlingly complex outbursts of lightning-arc intensity, luminous and pulsing polyrhythms, and hypnotically slow scrapes and brushes. Electroacoustic pieces create timeless space through hallucinatory electronic drones, then accelerate the tempo into hypercaffeinated, computer-driven micro-editing. Richly layered and sonically inventive, Triptych's energy and virtuosity invites listeners to choose their own path through multiple streams of rhythm and texture. Conceived as an album-length artistic work, Triptych presents three "panels" of music for solo percussion connected and augmented by two electroacoustic "hinges". Sounds, gestures, and ideas are recalled, recontextualized, and reinvented throughout the course of the record, creating a soaring formal arch. Created as part of an evening-length performance in collaboration with visual artist Leslie Vansen and choreographer Luc Vanier, Triptych internalizes the multimedia experience in its densely overlapped materials and striking juxtapositions. 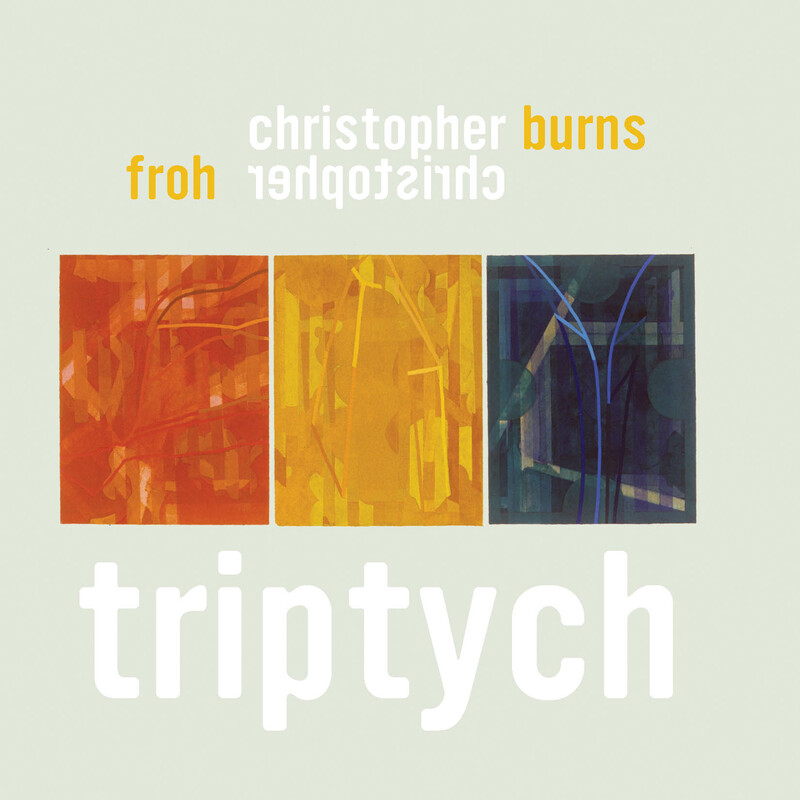 A product of the ongoing collaboration between composer Christopher Burns and percussionist Christopher Froh, Triptych synthesizes their unique voices and talents. Froh's detailed research into new sonic possibilities for the vibraphone is explored in the central work Trifold. His precise and kinetic performance-style make for the perfect realization of Burns' ferociously challenging music. Christopher Burns is a laptop improviser and a composer of instrumental chamber music. His works explore simultaneity and multiplicity: textures and materials are layered one on top of another, creating a dense and energetic polyphony. A committed educator, Christopher teaches music composition and technology at the University of Wisconsin-Milwaukee. He is also active as a concert producer, collaborating with sfSoundGroup in San Francisco, serving as artistic director of the Unruly Music series in Milwaukee, and leading MiLO, the Milwaukee Laptop Orchestra. Virtuoso percussionist Christopher Froh specializes in contemporary music performance, appearing regularly as a soloist and with chamber music groups around the San Francisco Bay Area. His training includes experience with Japanese, Balinese, Brazilian and Southern African percussion traditions as well as Western orchestral and chamber music. He has also worked extensively in music for dance and theater, including an extended run as solo percussionist for the Berkeley Repertory Theater's production of Aeschylus' The Oresteia. Chris is based in Sacramento, California, and teaches percussion at the University of California-Davis.